This doesn’t apply to being a Trump supporter or not, if you are a supporter of democracy and free speech, the recent media blackout of the EPA and the Department of Agriculture should raise some concerning questions for you. A complete media blackout handed down by the new Trump administration has silenced the Environmental Protection Agency (EPA), preventing them from posting blogs, barring staff from awarding new contracts, and most chillingly, vetting and detouring press requests and questions to the Office of Administration and Resources Management. 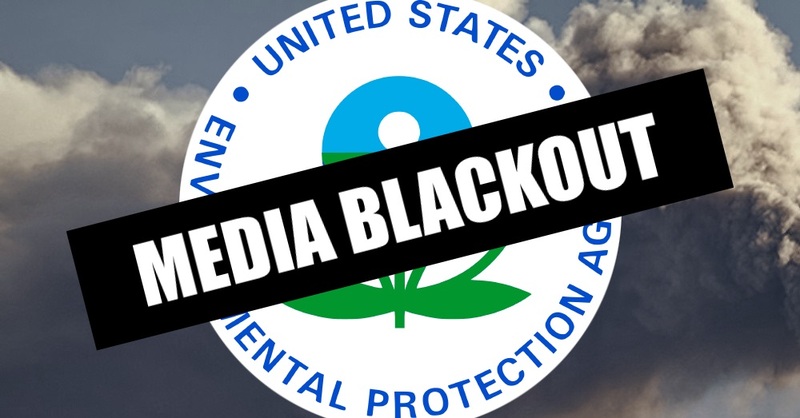 The media blackout also prevents the EPA from posting on their social media accounts. Although the Trump administration has called this temporary until they can “get a handle on everything” and so they can ensure “what goes out reflects the priorities of the new administration” one must ask why the government feels the right to over extend their reach to silence an environmental agency. The EPA recently released a report warning of the dangers of fracking contaminating US water supplies, where the “cases of impact” pointed out that water contamination occurs in all stages of the fracking process. It further states that when taking cases to the D.C. Circuit, the EPA won 81 percent, only losing 10 percent with the rest resulting in mixed decisions. This shows the strength of the EPA in the court of law when they fight to make the word cleaner and safer. In short, the EPA holds Congress and the government accountable. The EPA isn’t the only one to suffer this censorship blow. The Department of Agriculture has also received orders not to release anything to the public, says AP, including any document. Trump’s stance against climate change is well documented. Trump supporter or not, blacking out and censoring free speech and scientific/environmental reports are not okay in a country that proclaims freedom for all – no matter the excuse. This is a blatant exercise of overreach by the government and an insult to democracy; while they decide what fits their agenda – their own words. No government has the right. This article (Free Speech Silenced as EPA Ordered to Remain Silent, Trump Issues Complete Media Blackout) is a free and open source. You have permission to republish this article under a Creative Commons license with attribution to Aral Bereux and DNewsHQ.